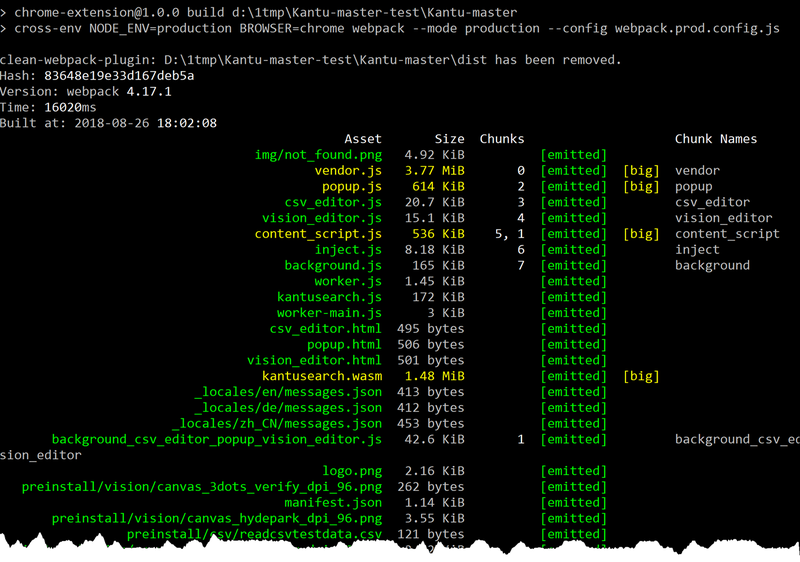 Trying to compile the source from GitHUB for Kantu - Kantu - Forum for Kantu Task and Test Automation and the free OCR API. Can someone help me figure out how to compile the source code and add it to Chrome. Please make sure that you use the correct Nodejs version. If you do, everything should compile just fine. 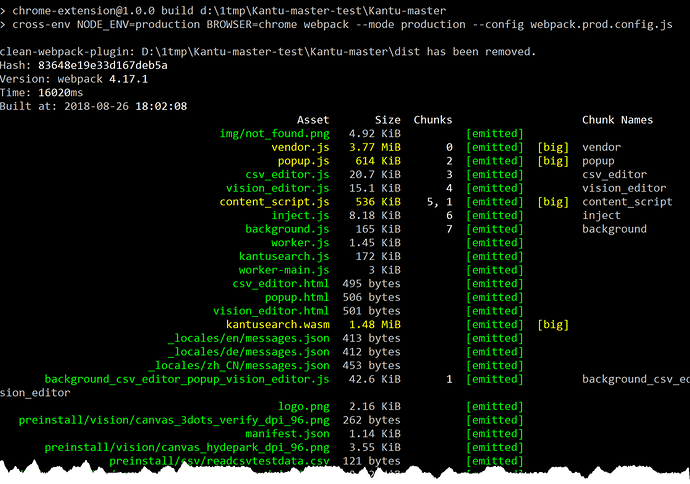 At the moment, we use Node V8.11.1 and NPM V5.6.0.